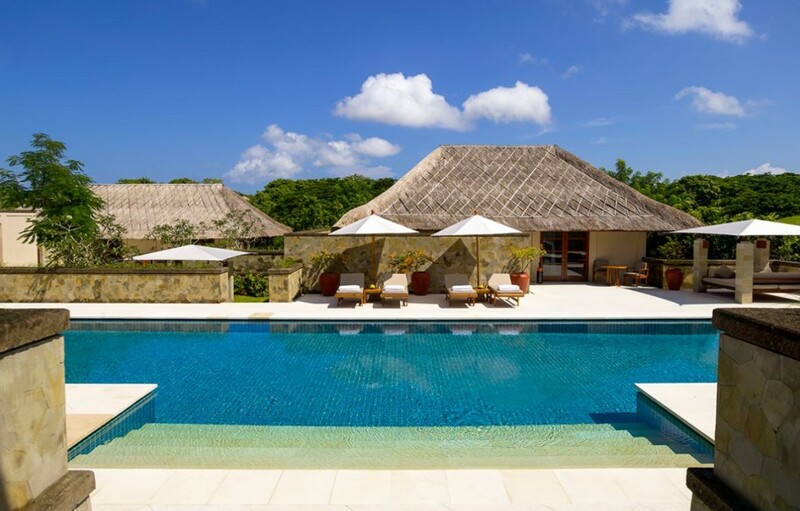 Bali has many styles of accommodation to suit every type of traveler, but we recommend checking out these simply unreal vacation rentals in Bali. Your paycheck is sure to go a long way in Bali, where you can easily find a luxurious, modern multi-bedroom villa for as little as $300 per night. Be prepared to pay a little more for something on the beach, or if you want a staff attending to your every whim, but the price is still within reason for a completely indulgent experience. Our recommendation is to splurge on one of the Aman Villas. Not only will you get to stay in a well-appointed, spacious villa tucked away from it all, you also have access to the extensive amenities of the top rated Amandali or Amanusa Resort. Bali is a haven for spas. Whether you want a mani/pedi prior to a night out on the town or a multi-day wellness experience to re-center and rejuvenate, Bali has a plethora of choices that are sure to pamper you into pure bliss. Consider indulging in a massage or body treatment based local traditions and ingredients. Balinese massages are so popular that you are sure to find them in at a spa back home, but why not experience one where it all started for a fraction of the cost? If you are looking for something more holistic, visit a Balinese healer that customizes your treatments to re-balance your energy and heal your chakra. Yoga is also widely available island, with classes for beginners or retreats for those training to be teachers. With all of these options, you may find yourself so relaxed that you’ll never want to leave. Bali has a beach that is sure to please every traveler! Surfers are sure to enjoy the beaches along the Southern coasts. Some of the best breaks can be found in Uluwatu along the Suluban and Padang Padang beaches. If you’re looking for long stretches of white sand beach, look no further than Nusa Dua. There is a reason that some of the most highly rated resorts on the island, and even the world, are located along this magnificent stretch of sand. 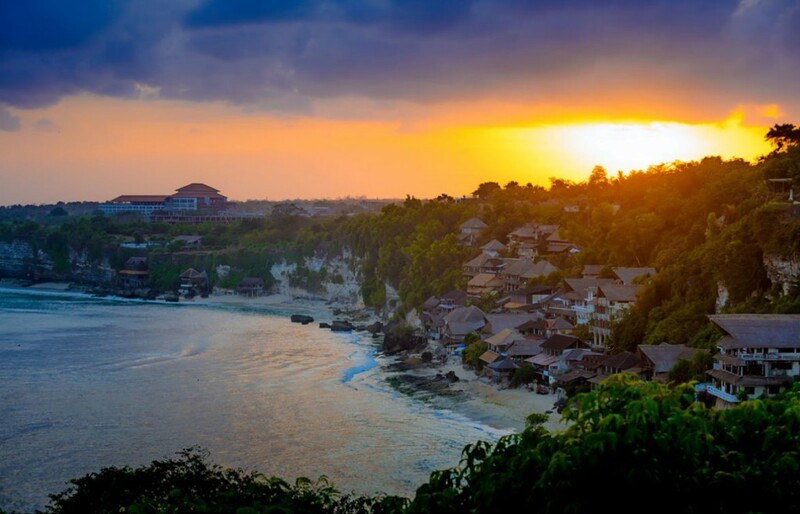 However, Jimbaran has started to rival Nusa Dua in both the beach and resort departments. Either choice will be sure to leave the luxury traveler pleased. For those who are looking for a more active scene, Kuta Beach has it all. With easy access to bars, restaurants, and shopping, you can start your day with swimming and surfing and end it with a few local crafts and a cold beverage. Just note that Kuta is a hot tourist spot, so be sure to secure your spot in the sand early. What makes Bali, and Indonesia, so unique are the many multicultural influences seen throughout the country. However, the awe-inspiring Hindu Temples you’ll find throughout the island draw in more interest than the beaches or surf. Local villages are required to have at least three temples, so you’ll see them lining the landscape as you are exploring the country. 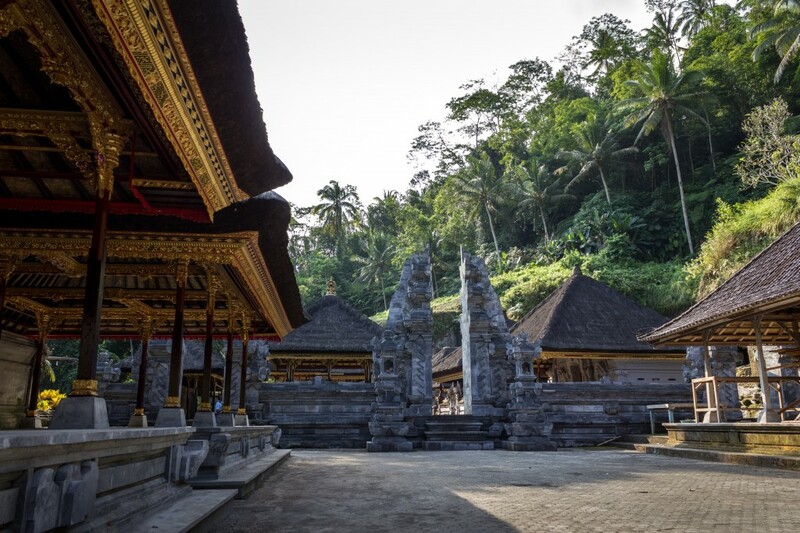 Not only will you be captivated by the unique Balinese temple architecture, you’ll also be astounded by their surroundings. You’ll find temples with gorgeous sunset views, up on cliffs overlooking the ocean, or among meticulously maintained gardens. Popular temples include Tirta Empul and Uluwatu, both of which are active prayer sites in addition to being major tourist draws. Be sure to dress appropriately when visiting these sacred sites and also be aware of the pesky monkeys running around. They are known to be thieves of personal articles, such as hats or handbags. However, if you happen to find monkeys endearing, you can visit the Sacred Monkey Forest Sanctuary. It’s a unique example of a temple, but you’ll certainly get to be hands-on with the monkeys in this environment. Bali is more than diving, snorkeling, or surfing. There is a wide range of water based activities available including white water rafting, sailing, fishing, paddle boarding, and canoeing. If you’re seeking something fun for the little ones in the family, Waterbom Park in Kuta has a variety of water slides or a lazy river for those wanting something slower paced. However, if you wish to dry out for a day or two, Bali is an excellent destination for golfing, mountain biking, cycling, horse back riding, or taking an ATV tour. If hiking is your thing, you can choose to hike among the mountains, jungles or the rice fields. For those seeking a major adrenaline rush, you can try your hand at bungy jumping or paragliding. Perhaps it makes sense to save your visit to the spa after your island adventures. This post is sponsored by Luxury Retreats - the ultimate in luxury escapes!